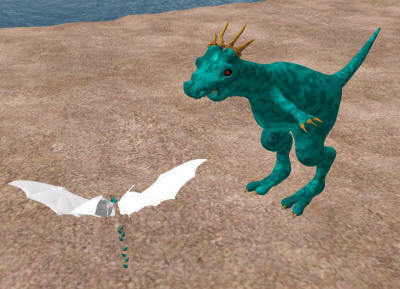 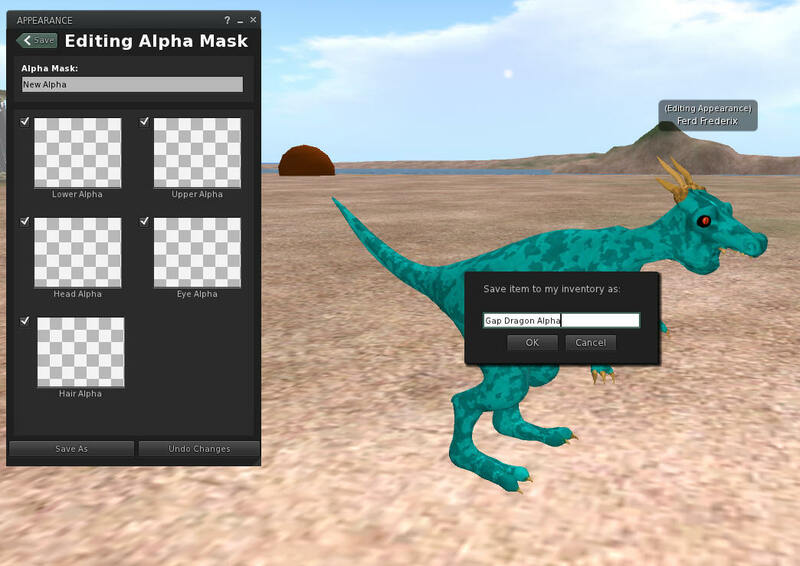 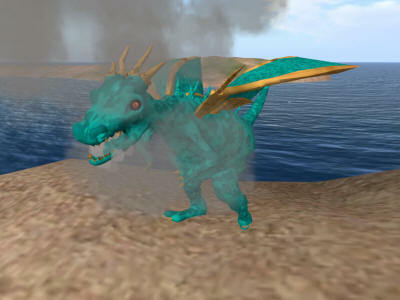 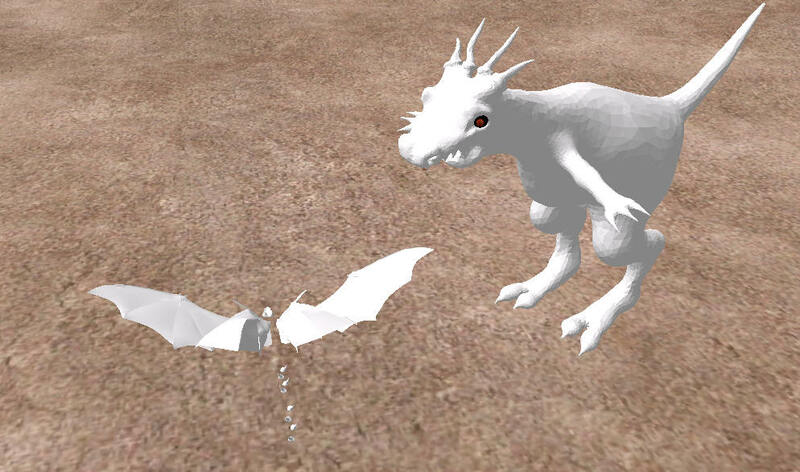 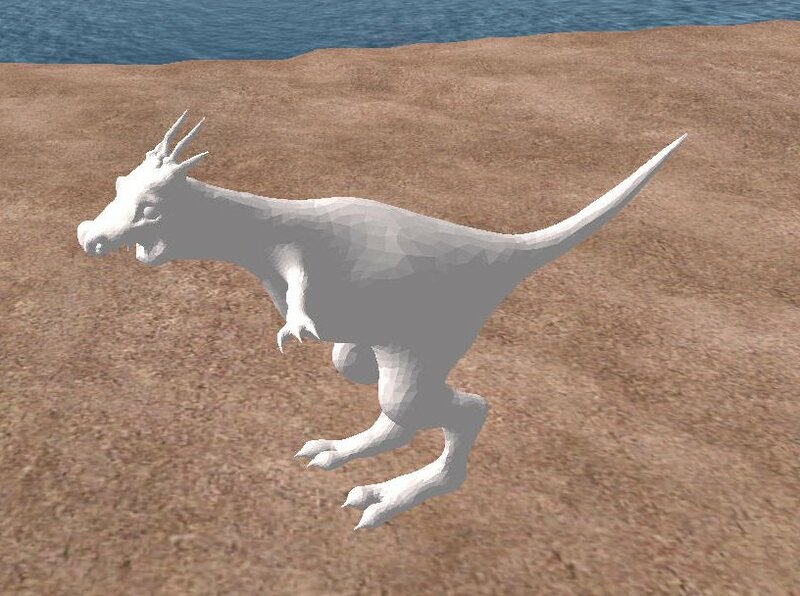 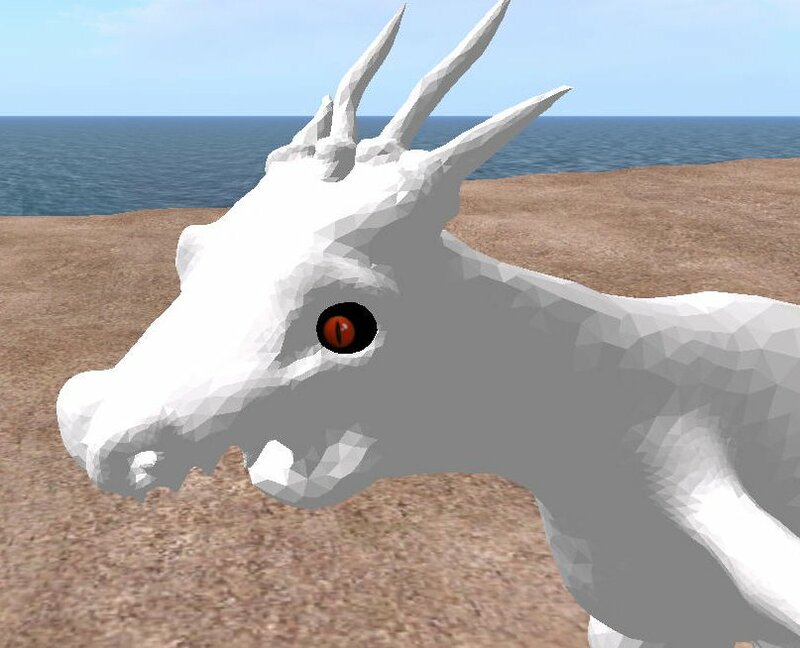 You can make this ferocious Gap Dragon avatar in a just few minutes. The Gap Dragon protects the Gap Chasm that divides the land of Xanth from intruders. 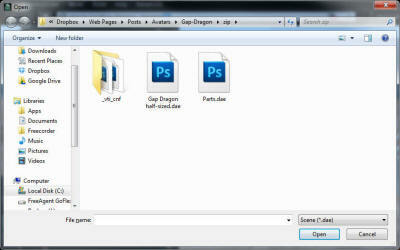 You will need to download and unnzip the files in this zip file. The first file you will need is the the file "Gap Dragon half-sized.dae". 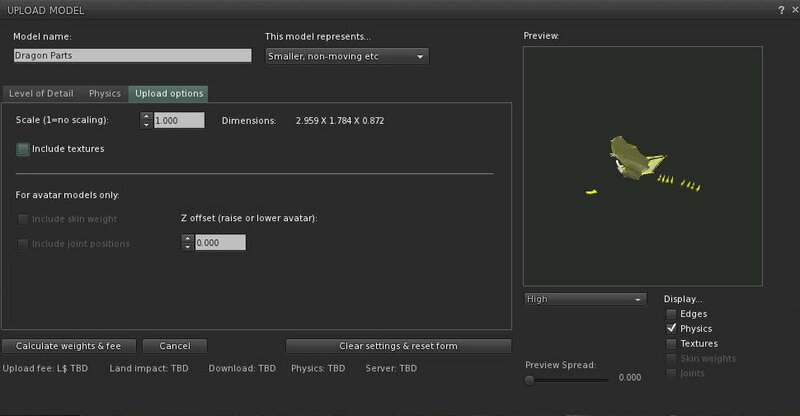 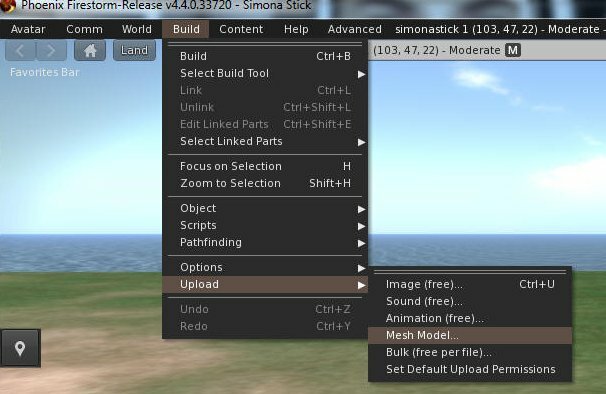 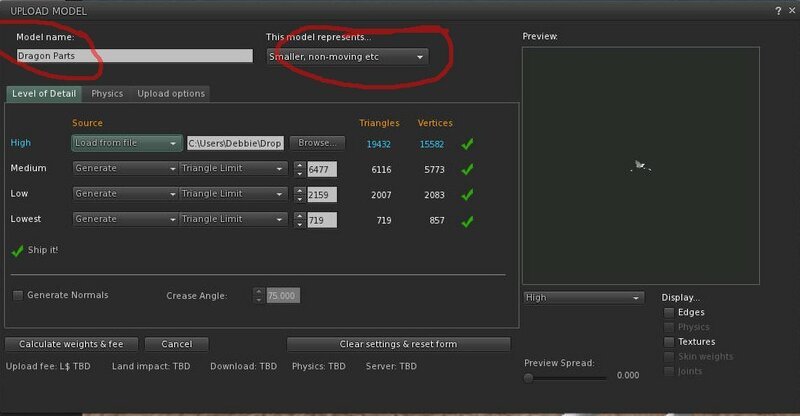 Navigate to Build->Upload->Mesh Model. 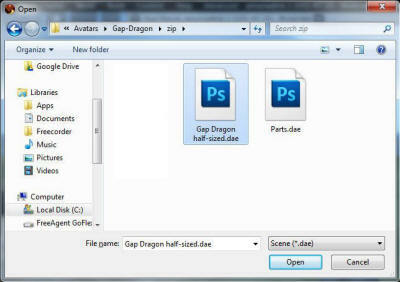 Select the file "Gap Dragon - Half-Sized.dae" and click Open. 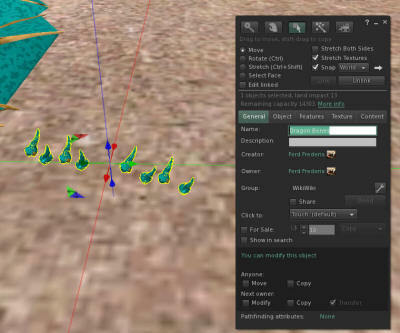 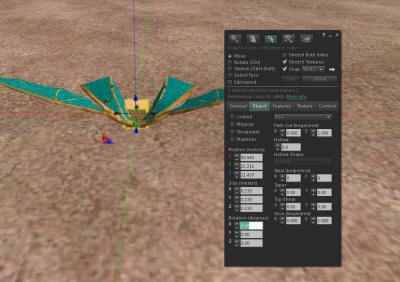 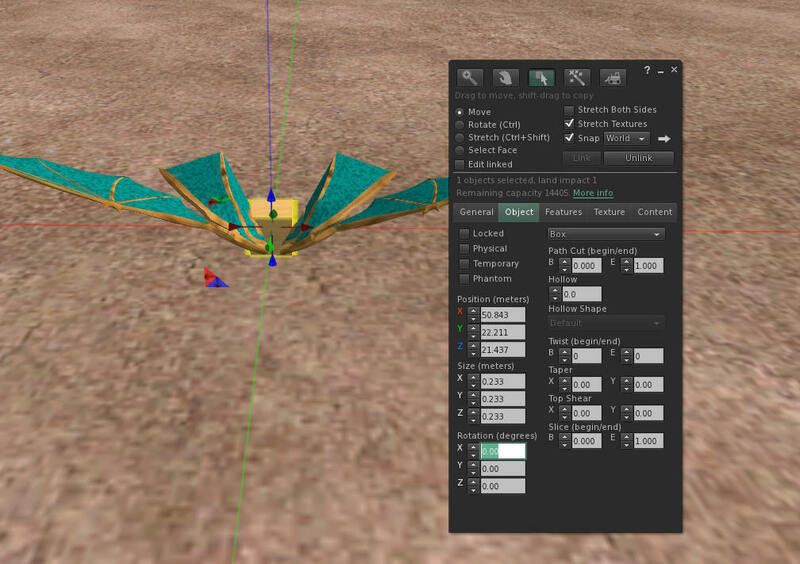 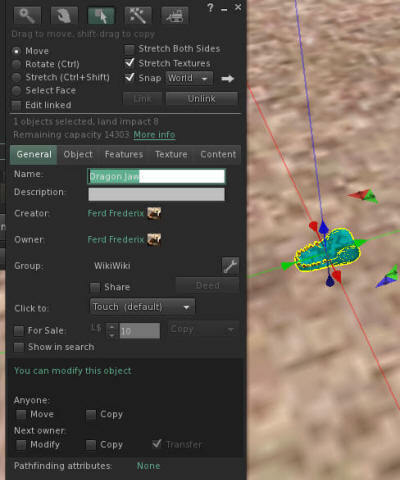 Give the model a name such as "Gap Dragon", and select the pulldown for "Avatar Shape" on the Level of Detail screen. 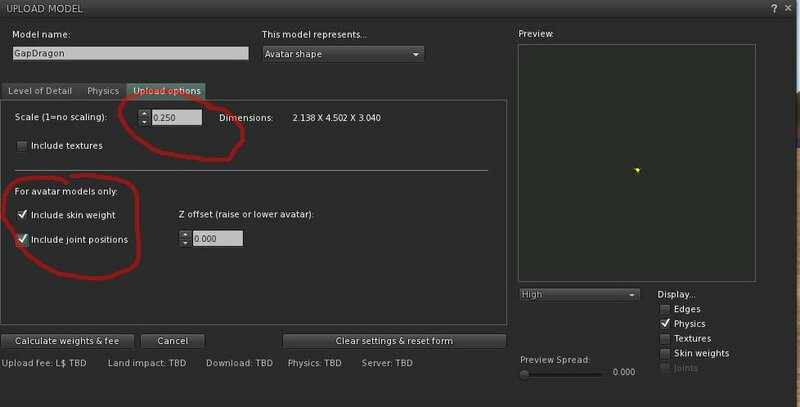 Set the size to about 0.25 so it will not be too big ( the size of the final dragon cannot be changed here), and be sure that you check the two boxes for "Include Avatar Weight" and "Include Joint Positions". Click Calculate, and then click Upload. 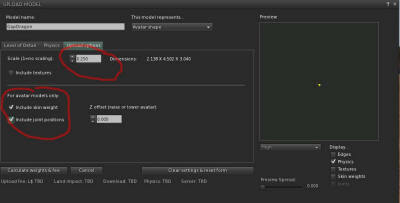 You will need to upload a DAE file with the extra parts you will need. 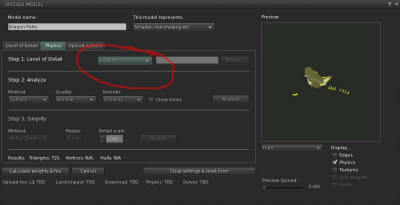 The Upload tab has no options selected. 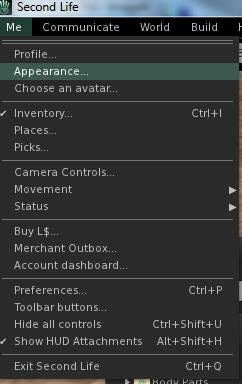 Also select all these parts and press Ctrl-Shift-L to unlink them. 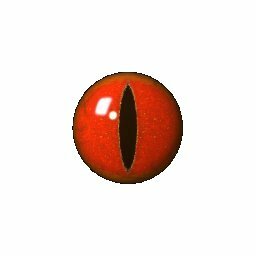 They are worn individually. 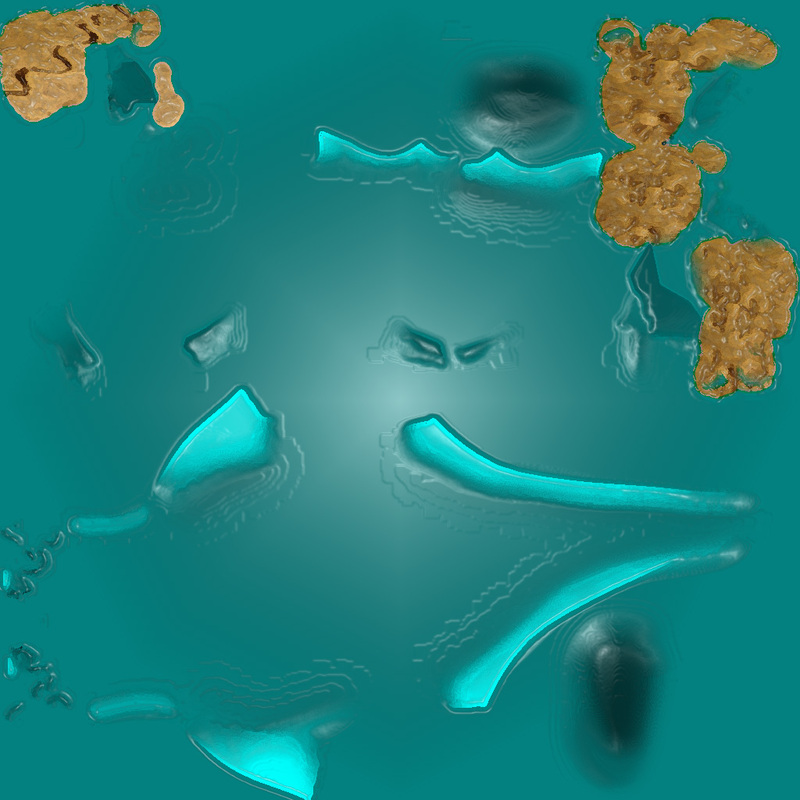 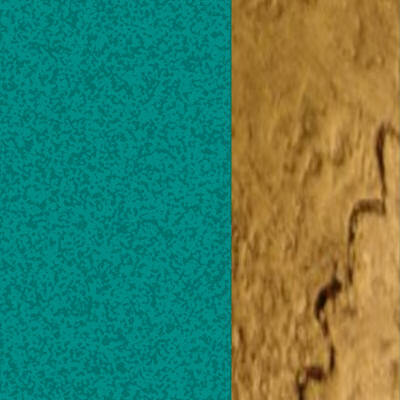 There are several possible body textures. 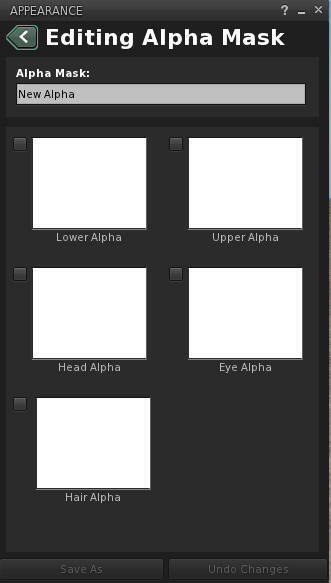 Choose from one of these images and apply it to the mouth piece and the body of the dragon. Go ahead and apply the texture to the jaw. 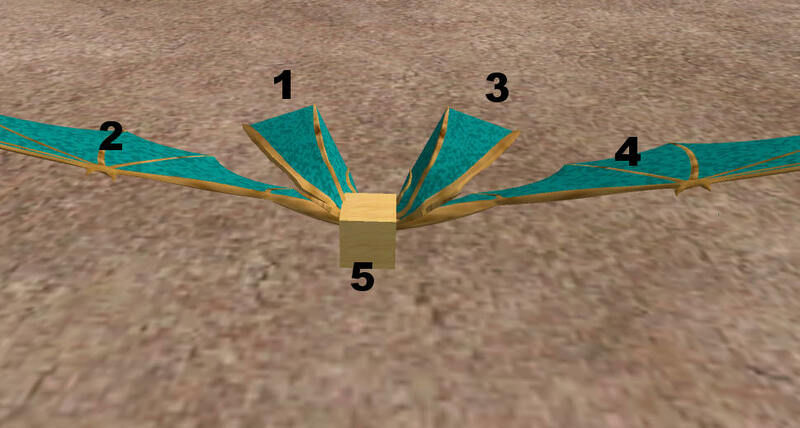 Rez a box in the middle of the wings. Position it so that the arrows line up as shown in the following picture. 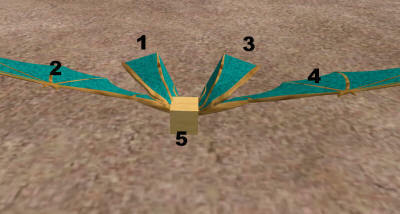 Edit the box, then select the wing pieces in the following order. 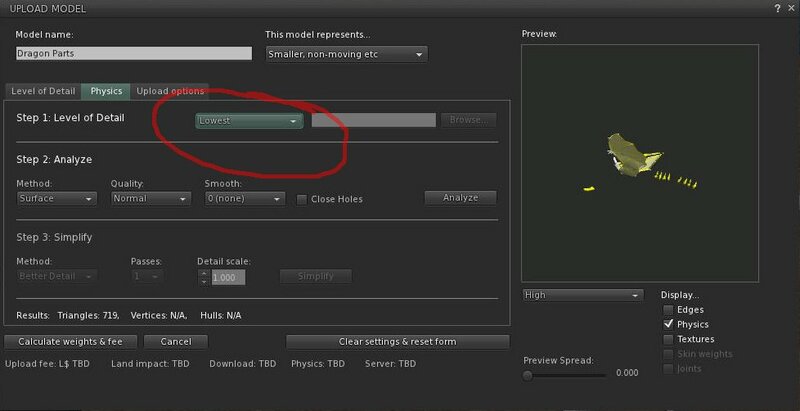 Be sure you click the box last! Press Ctrl + L to link these pieces together. 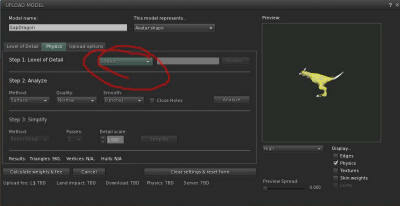 Upload the following script and put it inside the box. 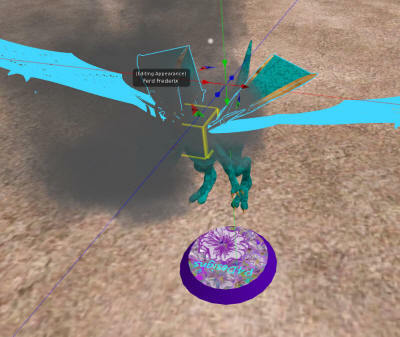 Now fly your avatar up in the air. The wing should start flapping. 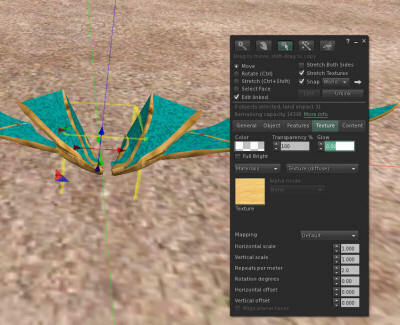 When you land, it will stop flapping. 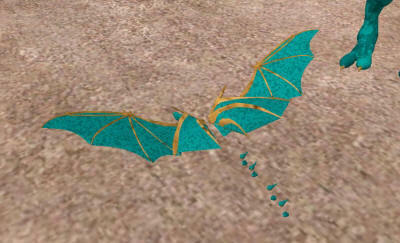 Now you can take the wing into inventory. 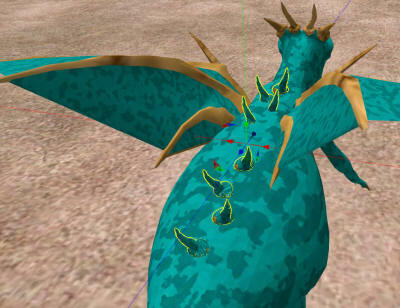 Right click the Gap Dragon that you saved in inventory, and attach it to any body part. 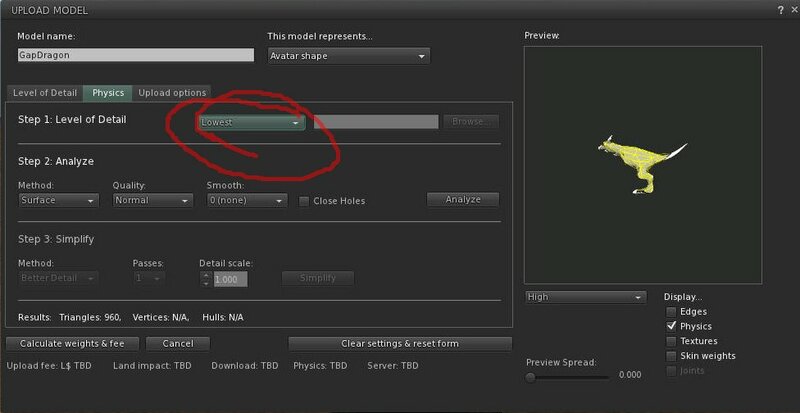 If you select the default of "wear", it will attach to the right hand. 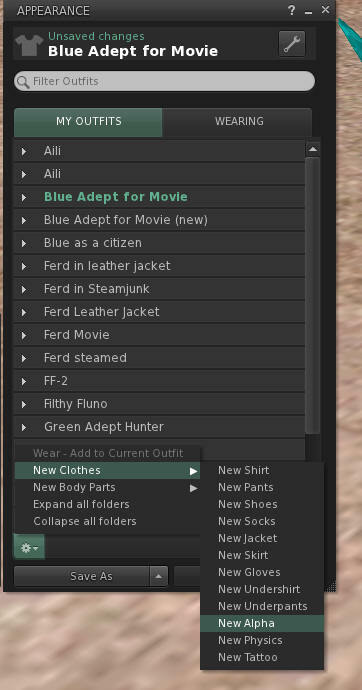 Not a good idea, as just about everything attaches there by default and you will suddenly be a naked, body-less avatar when it inevitably happens. 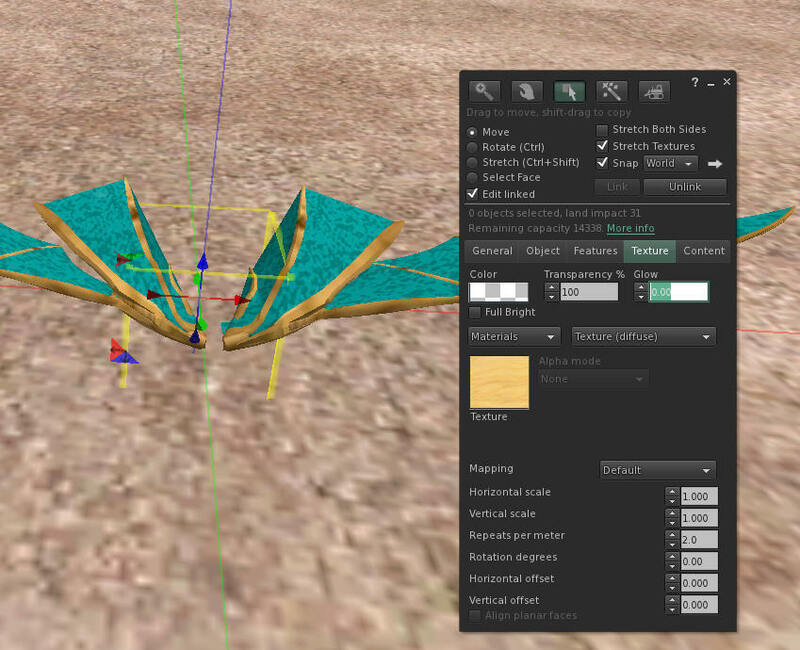 So pick an attachment point unlikely to be used. So now is a good time take off all your clothes and prim attachments. 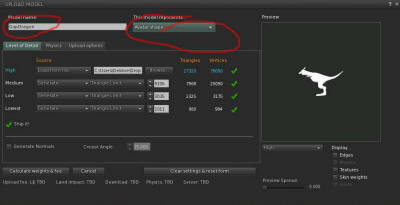 Click the little gear at the bottom of the Edit Appearance windo and select New->Alpha Layer. 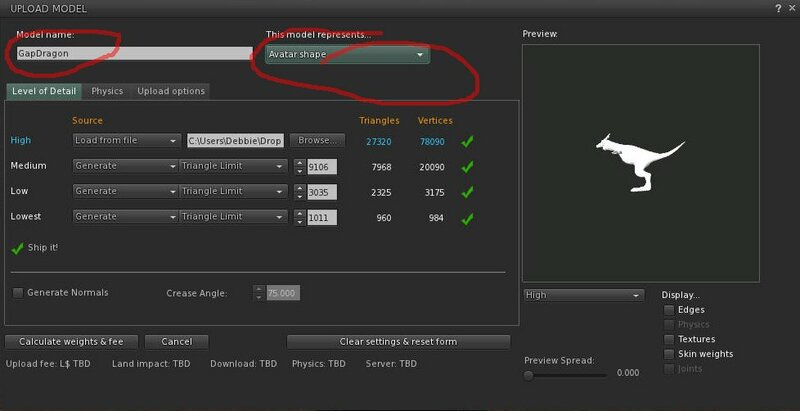 Click all the check boxes to enable all alpha layers and then click "Save As". 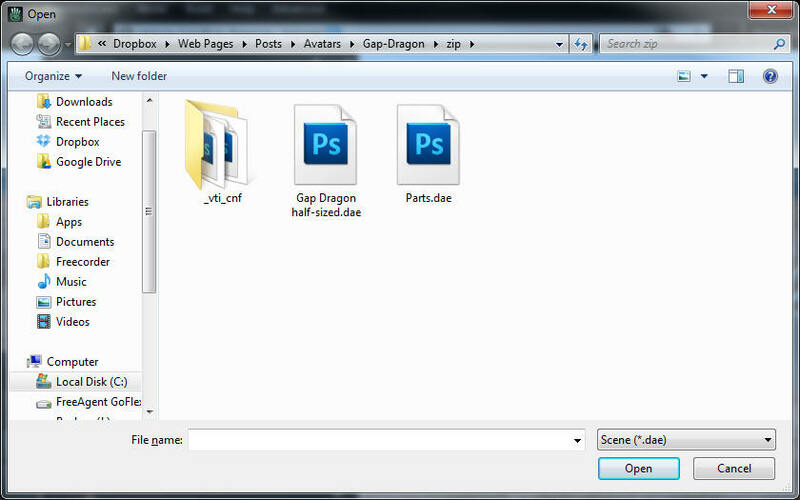 Give it a name such as "Gap Dragon Alpha" and save it. 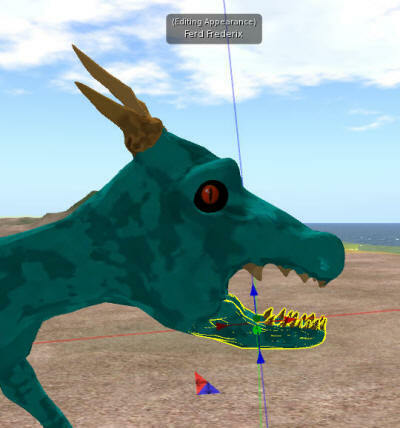 Right-click and attach the jaw to your Mouth. 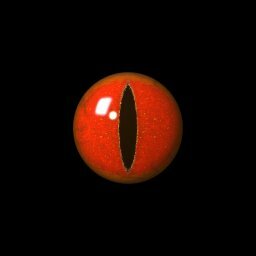 Reach inside your mouth and pull the jaw down and position and size it to fit. It helps to sit on a pose stand to set this jaw intoplace. 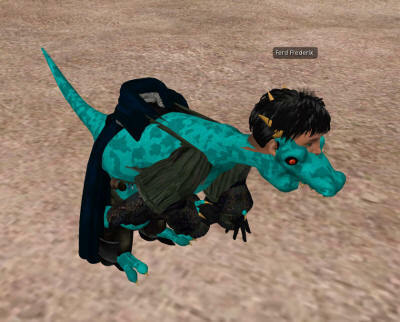 Hop off your Pose stand and fly off! Your wings should unfurl, the eyes and neck track your camera movements and the mouth should smoke up every ten seconds.